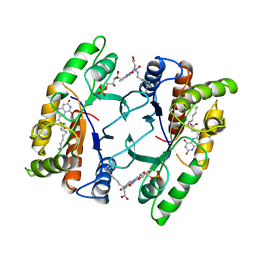 Authors: Kita, A., Kita, S., Fujisawa, I., Inaka, K., Ishida, T., Horiike, K., Nozaki, M., Miki, K.
Cite: An archetypical extradiol-cleaving catecholic dioxygenase: the crystal structure of catechol 2,3-dioxygenase (metapyrocatechase) from Ppseudomonas putida mt-2. 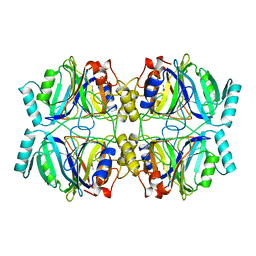 Authors: Kita, A., Miki, K.
Cite: Structure of flavoprotein FP390 from a luminescent bacterium Photobacterium phosphoreum refined at 2.7 A resolution. 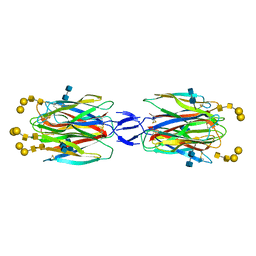 Authors: Kita, A., Matsunaga, S., Takai, A., Kataiwa, H., Wakimoto, T., Fusetani, N., Isobe, M., Miki, K.
Cite: Crystal structure of the complex between calyculin A and the catalytic subunit of protein phosphatase 1. 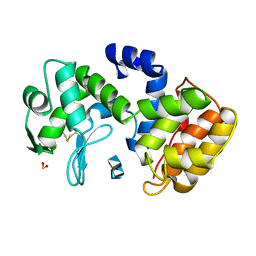 Authors: Kita, A., Okajima, K., Morimoto, Y., Ikeuchi, M., Miki, K.
Authors: Kita, A., Tasaki, S., Yohda, M., Miki, K.
Authors: Kita, A., Jimbo, M., Sakai, R., Morimoto, Y., Miki, K.
Cite: Crystal structure of a symbiosis-related lectin from octocoral. 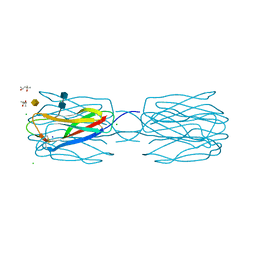 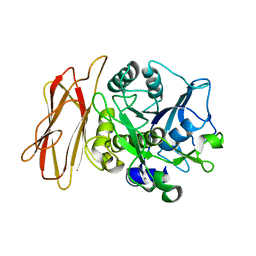 CRYSTAL STRUCTURE OF THE COMPLEX BETWEEN SLL-2 AND GALNAC. 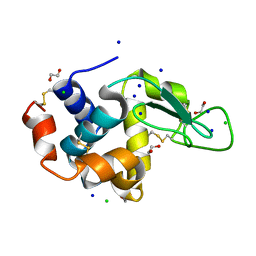 Authors: Kita, A., Morimoto, Y. 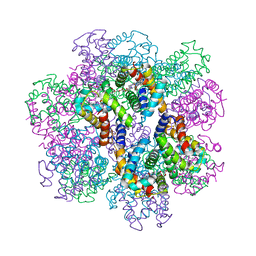 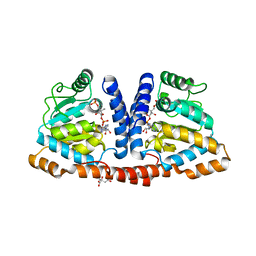 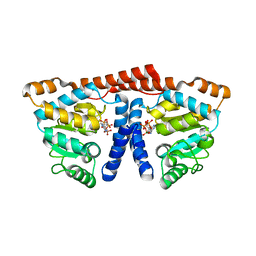 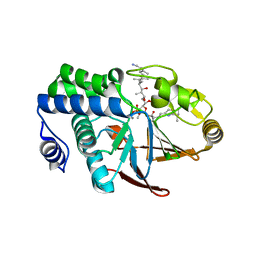 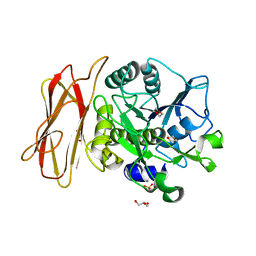 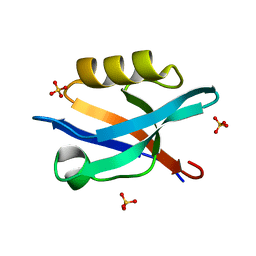 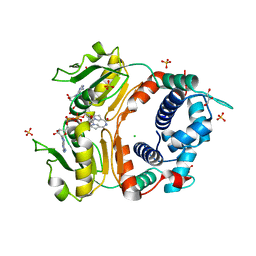 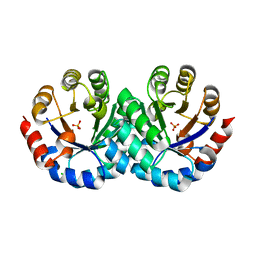 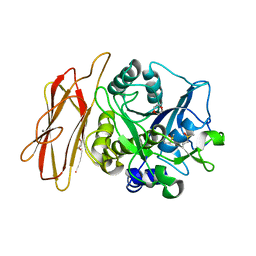 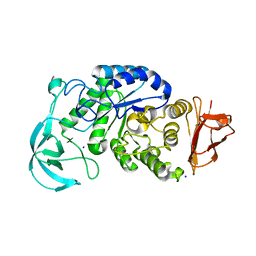 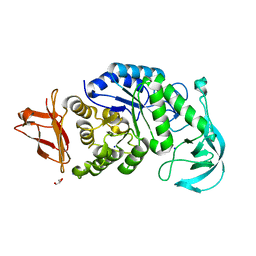 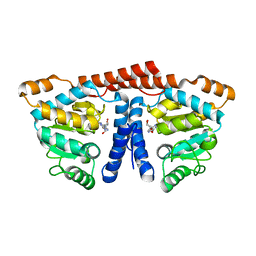 Cite: Crystal structure of octocoral lectin SLL-2 complexed with Forssman antigen tetrasaccharide. 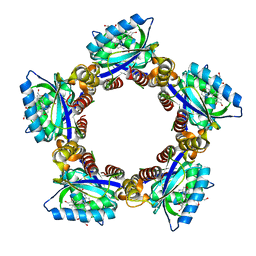 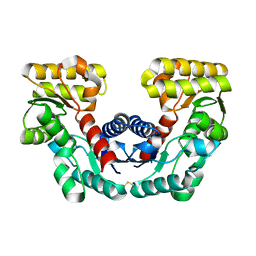 Authors: Kita, A., Orita, I., Yurimoto, H., Kato, N., Sakai, Y., Miki, K.
Authors: Saito, J., Kita, A., Higuchi, Y., Nagata, Y., Ando, A., Miki, K.
Cite: Crystal structure of chitosanase from Bacillus circulans MH-K1 at 1.6-A resolution and its substrate recognition mechanism. 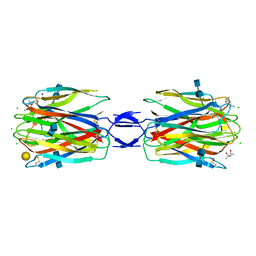 Authors: Nonaka, T., Fujihashi, M., Kita, A., Saeki, K., Ito, S., Horikoshi, K., Miki, K.
Authors: Numoto, N., Nakagawa, T., Kita, A., Sasayama, Y., Fukumori, Y., Miki, K.
Cite: Structure of an extracellular giant hemoglobin of the gutless beard worm Oligobrachia mashikoi. Authors: Kishimoto, A., Kita, A., Ishibashi, T., Tomita, H., Yokooji, Y., Imanaka, T., Atomi, H., Miki, K.
Authors: Liu, L.J., Iwata, K., Kita, A., Kawarabayasi, Y., Yohda, M., Miki, K.
Cite: Crystal structure of aspartate racemase from Pyrococcus horikoshii OT3 and its implications for molecular mechanism of PLP-independent racemization. 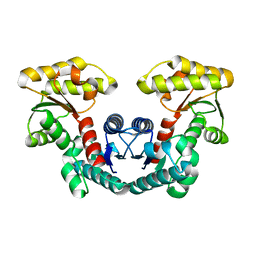 Authors: Nonaka, T., Fujihashi, M., Kita, A., Hagihara, H., Ozaki, K., Ito, S., Miki, K.